Heroes: 1st Forging Bonds Event Now Live! A new event type has just begun in Fire Emblem Heroes! Head over to the Events menu to play the first ever incarnation of Forging Bonds. As a gift for the new game mode, everyone also gets a one-time gift of 20 Orbs! Forging Bonds is a new event type that aims to give more characterization to the heroes of Heroes. 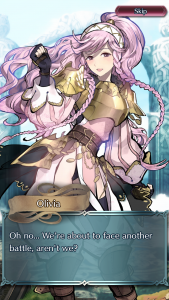 Like Tempest Trials, the event begins with a short scene to set the story. Bandits are attacking a village, and the Ylissean forces are outnumbered. Thankfully, the Order of Heroes arrives to sway the tides of battle! Fight battles to gather Friendship and earn rewards. 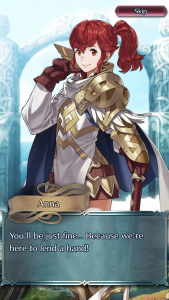 In addition to Orbs, Hero Feathers, and other goodies, you can also unlock special Conversations with heroes. 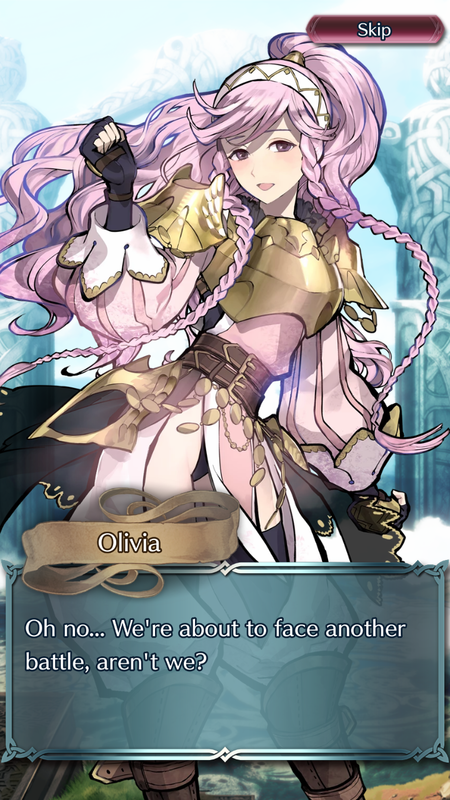 Do you best to see all the conversations for Olivia, Sumia, Maribelle, and Libra! This first Forging Bonds event will last two weeks, ending on 6 August. Scroll on below for more details about the new game mode. Heroes: Tempest Trials+: Sweet Dreams Details & Compensation Orbs! A new Tempest Trials+ will soon begin in Fire Emblem Heroes! 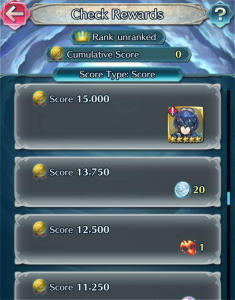 Just today, Heroes revealed the details for Tempest Trials+: Sweet Dreams. 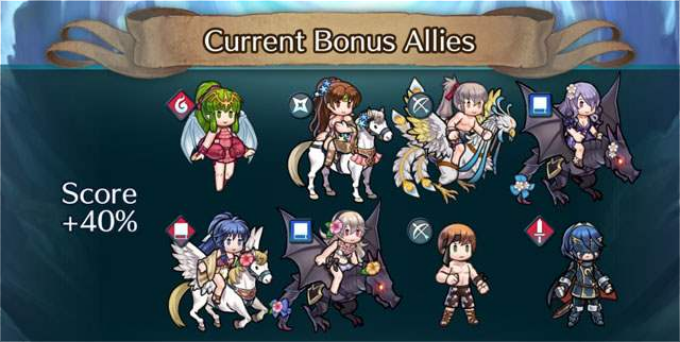 This time around, the Trials focus on Summer Units, as seen in the Bonus Allies reveal. 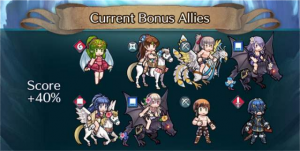 As six of the seven summonable Bonus Allies are already available, there is no separate TT banner this time. You can summon the summer versions of Young Tiki, Linde, Takumi, and Camilla in the newest Sketchy Summer banner. Similarly, the summer Corrin and Gaius are available in the reruns of the Nohrian Summer and Ylissean Summer banners respectively. Marth: Enigmatic Blade is the eighth and final Bonus Ally. 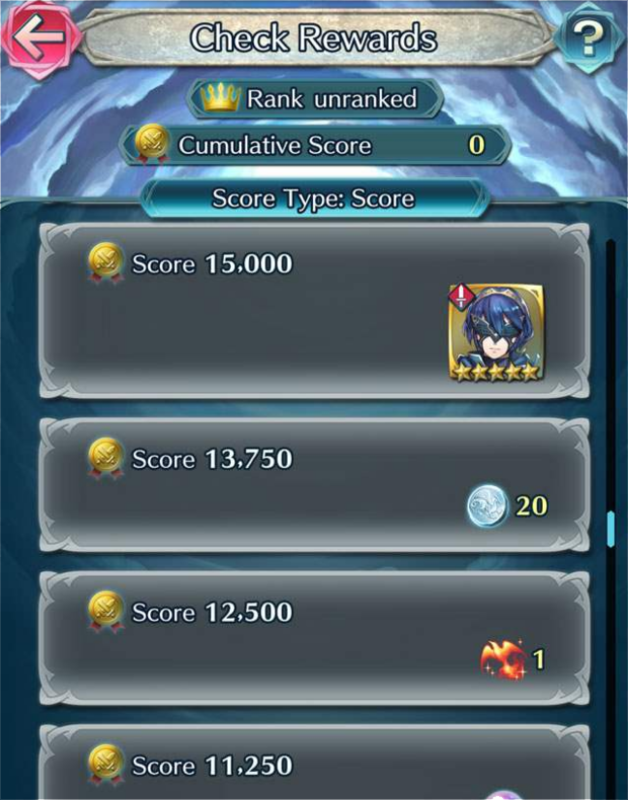 She returns as a Tempest Trials reward once again, as seen in the Rewards preview. This will now be the fourth time she has been available as a TT reward, great for players who would like to merge her up! Additionally, the Notifications Screen reveals that Heroes players will get Flashing Blade and Spd Ploy seals this TT! We also get a TT Log-In Bonus starting today. Tempest Trials+: Sweet Dreams starts this Sunday, 15 July, at 7:00am UTC. Like all Tempest Trials+ since the update, it will last a total of 10 days, ending on 24 July. 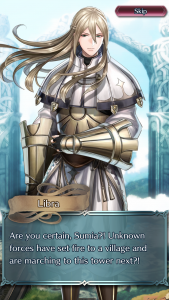 Finally, Heroes is giving out 10 Orbs as compensation for summoning issues with the most recent banner. You can pick them up from Feh at your convenience. Heroes: DICE Awards Celebration Giveaway Brings Free Orbs! Congratulations! Fire Emblem Heroes won the DICE “Mobile Game of the Year” Award! As a reward for their players, Heroes is having a DICE Awards Celebration Giveaway. This giveaway contains 20 Orbs and 2018 Hero Feathers! You can pick them up from Feh when you log in. They’ll be available through 1 April. For more information on the DICE Awards, and the full list of this year’s winners, check out their website. Additionally, it’s 1 March today, and a new month brings new Monthly Quests. As usual, the quests are split into three sections, each requiring you to complete a similar type of task with certain heroes. Check out the quests on the Home Page when you have a chance! The quests will be around all month, so you have plenty of time to complete them. Fire Emblem Heroes 1st Anniversary is Here! The Fire Emblem Heroes 1st Anniversary has arrived! Happy anniversary, Heroes! Heroes has quite a lot in store for players as part of its anniversary celebration. Two parts of it will be immediately available as soon as you log-in: a one-time Anniversary Present of 50 Orbs and an Anniversary Log-In Bonus! The log-in bonus gives you an additional 2 Orbs each day for a total of 20 Orbs. 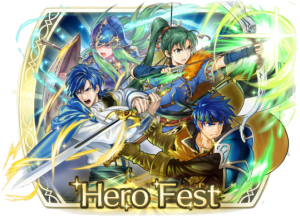 The third event gives you a place to potentially spend those Orbs, a new Hero Fest banner! 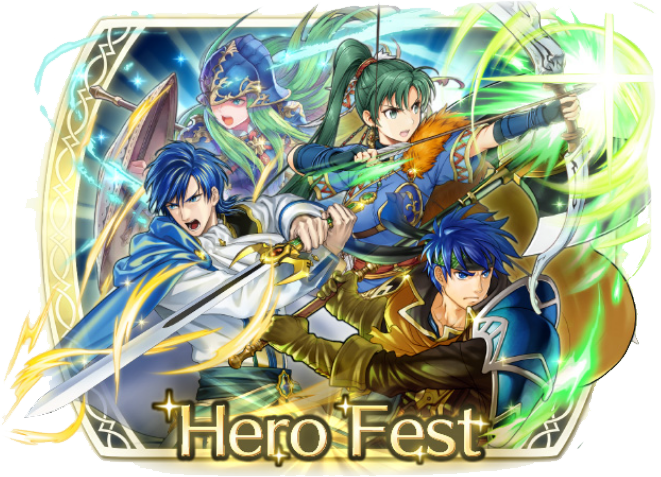 This banner contains 5★ focus units for Sigurd, Nephenee, Brave Ike, and Brave Lyn. Even better, they have a 5% chance to appear! The final two events are both a bit more long-lasting. The Double EXP & SP event lasts for one week, giving all of your heroes twice as much EXP and SP in battle! It will end on 9 February. We also get Daily Special Maps for 25 days! Each map rewards one Orb for both difficulties for a total of 50 Orbs. You have one week to play each map. You may remember when you first began playing Heroes that there was a “Shards & Crystals” quest that rewarded players for completing various story chapters. Those quests were valid for one year, so they have now ended. Instead of being simply renewed or removed, these quests have been replaced with another yearly quest: Tutorial Quests. Just like the original, these new Tutorial Quests reward you for completely various story chapters. You can also earn prizes for competing in the Arena and the Training Tower. The rewards have been updated to include additional prizes, such as new Sacred Seals, Stamina Potions, Badges, and even a couple Orbs! Check out the full list below.